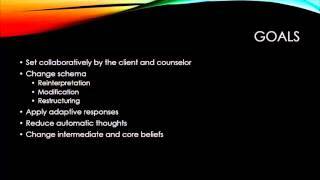 Theories of Counseling - Cognitive Therapy This video explains the theory of Cognitive Therapy (Aaron Beck) as applied to mental health counseling. A summary of Cognitive Therapy and opinion on how specific aspects can be used in integrative counseling are reviewed. Cognitive behavioral therapy, said aloud as CBT represents not one therapy but a class of therapies, unified by a science of the heart, mind, and body. 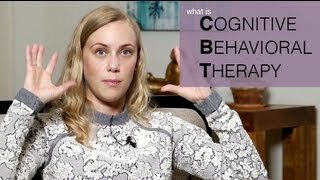 CBT involves understanding both the role of cognitive experience (thoughts, feelings, sensations and memories) and behavior (what you do or say). A simple CBT intervention is to track what you think and how it impacts what you do next. Take for example if you have the thought "it's going to rain today" that might impact your behavior, especially if that thought is highly believable. You might find yourself packing a raincoat or umbrella. Although this is an innocuous example, imagine the myriad of painful thoughts, feelings, sensations, and memories that can rule one's behavior. CBT specifically targets your cognitive experience simultaneously with a focus on what you do to create new patterns of responding and therefore living. 2. Self help: This channel provides accurate and authoritative information, it is not a substitute for psychotherapy and does not count as a social work service. If you are in need of help, seek out professional services from a licensed healthcare professional. 3. Community: Although this work is my own, I am inspired and supported by a group of clinicians and researchers under the banner of the Association for Contextual Behavioral Science. Role Play: Cognitive Behaviour Therapy Cognitive-behaviour therapy involves a specific focus on cognitive strategies such as identification and modification of maladaptive cognitive errors and restructuring of core beliefs and/ or representations of the self. Further focus is on behavioural strategies that are designed to activate clients in the environment with a view to effect desired behaviour change. Presented in an authentic and flowing style, this video incorporates a role play demonstrating the key techniques of Cognitive-behaviour therapy -- demonstrated by counselling professionals and including captions of the specific skill as it is demonstrated. If you are struggling, consider an online counseling session with a licensed professional at BetterHelp. They offer a cost friendly alternative to traditional therapy. ​I hope you all find this helpful and gives you hope for finding the support you need at a price you can afford. Thank you to BetterHelp for sponsoring this video!
) and "action oriented" (therapist tries to assist the client in selecting specific strategies to help address those problems). Please watch: "Mitchell Davis talks Agoraphobia, OCD & Panic Attacks | On The Couch Ep. 3 with Kati Morton"
Cognitive Behavioural Therapy (CBT) - how to use the very basics This webinar is designed to introduce non-specialist staff to the basics of CBT. It explores what CBT is and how we can use the very basics to help young people address negative thoughts and behaviours. 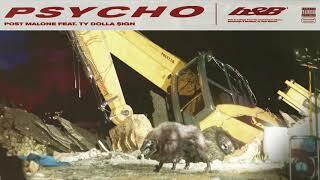 Psychopaths probably make up around 20 per cent of the prison population in both the USA and Britain. They are four times more likely to re-offend than other released prisoners, yet they are just as likely to get parole. Little is known about the minds of psychopaths and what is really behind the horrific things they do – but Equinox tackles the subject in this insightful documentary. Professor Robert Hare – consulted by the FBI and British Home Office – is the undisputed oracle on the psychopathic mind. In Psychopaths, he reveals stunning new evidence behind their behaviour, and suggests people should look to the brain for clues and not bad upbringing. This programme examines the Psychopathy Checklist, IQ distribution and blending in to social norms; and reports the peculiar phenomenon that treatment programmes make psychopaths re-offend earlier and more aggressively. Why comfort will ruin your life | Bill Eckstrom | TEDxUniversityofNevada After documenting and researching over 50,000 coaching interactions in the workplace, Bill Eckstrom shares life-altering, personal and professional development ideas through the introduction of the “Growth Rings.” The rings illustrate how dangerous it can be to remain in a state of comfort and how being in discomfort is the only way to sustain growth. You’ll be amazed at the world-changing outcomes discomfort can have on your life and the lives of others. Is Most Published Research Wrong? Mounting evidence suggests a lot of published research is false. 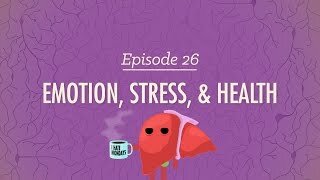 Emotion, Stress and Health: Crash Course Psychology #26 You can directly support Crash Course at http://www.subbable.com/crashcourse Subscribe for as little as $0 to keep up with everything we're doing. Also, if you can afford to pay a little every month, it really helps us to continue producing great content. So, it turns out we have an easy time reading emotions in facial expressions, but emotions can straight up kill us! In this episode of Crash Course Psychology, Hank discusses stress, emotions, and their overall impact on our health. Dan Gilbert: The psychology of your future self "Human beings are works in progress that mistakenly think they're finished." 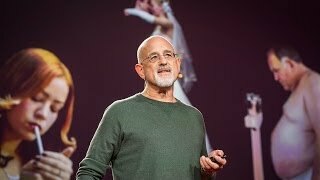 Dan Gilbert shares recent research on a phenomenon he calls the "end of history illusion," where we somehow imagine that the person we are right now is the person we'll be for the rest of time. Hint: that's not the case. 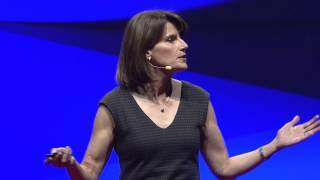 After watching this, your brain will not be the same | Lara Boyd | TEDxVancouver In a classic research-based TEDx Talk, Dr. Lara Boyd describes how neuroplasticity gives you the power to shape the brain you want. Recorded at TEDxVancouver at Rogers Arena on November 14, 2015. Technology and the Brain, the Latest Research and Findings: Larry Rosen Larry Rosen, research psychologist, at Wisdom 2.0 2014. http://www.wisdom2conference.com. 5 Psychology Experiments You Couldn't Do Today The science world has changed life as we know it, through new research, experiments, medicine, the list goes on! In the past however, some experiments were run in scary and unethical ways. From using children to unknowing subjects, these five experiments left people affected for the rest of their lives. Dooblydoo thanks go to the following Patreon supporters -- we couldn't make SciShow without them! Shout out to Patrick Merrithew, Will and Sonja Marple, Thomas J., Kevin Bealer, Chris Peters, charles george, Kathy & Tim Philip, Tim Curwick, Bader AlGhamdi, Justin Lentz, Patrick D. Ashmore, Mark Terrio-Cameron, Benny, Fatima Iqbal, Accalia Elementia, Kyle Anderson, and Philippe von Bergen. Keys to Successfully Managing Bipolar and Depression How come some people can recover from Bipolar Disorder while others can't manage their bipolar symptoms? HealthyPlace.com Expert Bipolar Patient and author, Julie Fast, provides some insight. In this video Stefan talks about how to overcome fear and anxiety in 30 seconds or less. "Now fear is something that I am familiar with because I grew up with a lot of it. If you don't know my story I used to be shy. I used to have a lot of anxiety, a lot of fear. I was a video gamer so I just protect myself from fear just by spending all my time by myself at home in front of the computer where I would be totally safe. And sure enough I had goals I had desires when I was young in high school I wanted to meet women and had a girlfriend, things like that but my fear kept me back. My fear paralyzed me." To learn more on how to overcome fear and anxiety, check out the blog post below. Be it any condition, a healthy diet is a road to fast recovery. Watch this video for some quick and easy recipes to help you recover from Depression! 5. Also apply 1 tsp chilli flakes and very little grated ginger. WHAT IS DEPRESSION? | The #AskNick Show | How to manage depression in 2017 WHAT IS DEPRESSION? | How to manage depression in 2017| A common question I get from my clients is, "Why am I depressed?" Depression is real and it is very serious. The mistake I find is that people don't really understand depression and how to treat it. In this video, I explain why people are depressed in 2017 from a soul perspective and how to treat depression. Check it out and let me know your thoughts. Nick Keomahavong is the CEO and founder of True Nature Counseling Center, a private practice located in San Diego, California. Nick is a Marriage and Family Therapist, lead clinician, practitioner, consultant, clinical trainer, educator, and professional dancer. Nick is the host of "Real Talk with Nick", a Youtube channel that utilizes his therapeutic background to provide psychoeducation and entertainment to his viewers. **Disclaimer: The material provided on RealTalkwithNick is designed for educational and entertainment purposes only. Neither Nick Keomahavong, True Nature Counseling Center nor RealTalkwithNick is engaged in providing clinical/medical services via this communications medium. You should not rely on information on this channel in lieu of consultation with your own health professional. depression, anxiety, self-esteem, grief and loss, life transitions, mood, mental health, etc. How to manage anxiety depression, Managing an anxiety disor http://manageanxietynow.com if you suffer from stress and anxiety it can lead to depression. Regain control of your life. It’s time to discover the root cause of stress, anxiety and depression. Today I am going to be sharing with you all my personal experience with stress, anxiety and depression. I wanted to do this, like I said in the video, not for people to feel bad for me, but so that people know that they are not alone. I am far far far far far from perfect, and I never want to pretend like everything is perfectly fine when in reality I have been really struggling. Depression is not something I have ever had to deal with before and it really straight up scared me to be thinking the thoughts I was thinking and feel they way I was feeling in the month where I was dealing with all of this. I still have days where I feel sad and down, but I have people in my life who have reminded me that there is so much good in this world. Thank you for watching + being supportive of me through the past month. You are awesome. My Depression and How I Handle it. A very long video that I wish I saw when I was in high school. When You Don’t Want To Go To Therapy Sometimes it takes a little push. Let Dr Rose, help you with your troubles. She'll talk with you softly in a short session today, about some issues surrounding bullying, that have been bothering you for some time now. *Savannah also manages my personal emails, anything important and any personal fan messages will be forwarded on to me to respond personally. Please note, ASMR is meant for relaxation and not for real medical/mental health care. Please take any advice given with a pinch of salt, and seek real help where needed. Retail Therapy: Jealousy Kirsten asks her retail therapist why she bought eye-catching products after she caught her boyfriend looking at another girl. What happens during a first therapy appointment? What should you expect when making your first therapy appointment? What will they ask me? Do I need to fill out paperwork? When do we talk about cost and payment? I try to give you all the information you will need to be prepared to make and attend your first therapy appointment. The most important thing to remember is that the sooner we reach out for help the better! There is no reason for us to suffer alone when there are many people out there who have dedicated their lives to helping others work through their issues. SUBTITLE VIDEOS ➡️ http://goo.gl/OZOQXi ➡️ WE NEED YOUR HELP! Trauma & Addiction: Crash Course Psychology #31 You can directly support Crash Course at http://www.subbable.com/crashcourse Subscribe for as little as $0 to keep up with everything we're doing. Also, if you can afford to pay a little every month, it really helps us to continue producing great content. So, what do Batman and J.R.R. Tolkien have in common? Post Traumatic Stress Disorder. It used to be called "Shellshock" and it can be really really really destructive. In this episode of Crash Course Psychology, Hank lays out the low down on PTSD and how trauma can affect the brain. Plus, a look at how addiction can play into trauma and the different types of treatments used to help those afflicted. How To Know If You Have Schizophrenia (Signs and Symptoms) I saturated this video with signs and symptoms of schizophrenia to give you a good idea of what both medical professionals and regular Joes consider schizophrenic. Now remember, just because you may feel you are schizophrenic does not mean you are. You need to talk to a licensed therapist or medical doctor to get a proper analysis/diagnosis. You know little of the disease, they know a lot. So give em a call to figure out your true mental condition. Living With Schizophrenia This uplifting 22 minute video shows interviews with patients living with schizophrenia, and mental health professionals who treat them. It shows how people diagnosed with schizophrenia can live normal lives. Schizophrenia: My Story MY FIRST VIDEO! This is just a brief story on how I got diagnosed with schizophrenia and depression. Leave a comment and let me know what you think! Schizophrenia is a mental disorder that generally appears in late adolescence or early adulthood, (between ages 15-25 among men and about 25 to 35 in women) but then, it can rise at whatever point in life. It affects approximately 1% of the population, affecting almost equally men and women. Schizophrenia comes from the Greek word schizo which means “split” and Phrene that means “mind”. However, contrary to popular belief, the word schizophrenia does not mean “split mind and/or multiple personalities”, but rather, “split off” from reality. With schizophrenia the individual has an altered capacity to interpret reality- frequently loss of contact with reality. This disorder affects how the person thinks, acts, feels, and sees the world. A person with schizophrenia may see or hear things that don’t exist, may not make sense when they talk, believe that others are reading their minds, controlling their thoughts, trying to harm them, or feel like they’re being constantly watched. They may sit or stand for quite a long time without moving or talking. In many cases, the illness develops so slowly that the affected person does not know he/she has it for quite a while. While, with other people it can strike suddenly and develop fast. Most schizophrenics, if untreated, progressively withdraw from interactions with other people, and lose their capacity to deal their own personal needs and grooming. Bipolar Disorder Is Like Having Two Serious Illnesses at Once Big Think and the Mental Health Channel are proud to launch Big Thinkers on Mental Health, a new series dedicated to open discussion of anxiety, depression, and the many other psychological disorders that affect millions worldwide. This week, psychiatrist Nicole Foubister delves into the world of bipolar disorder. Most people are casually familiar with bipolar disorder though few understand the colossal strain it can have on the lives of sufferers and their loved ones. It's vital for people diagnosed as bipolar to open themselves up to treatment and for people close to them to be aware of the illness' ramifications. What's most important is to understand that no one chooses to be bipolar; you must learn to be calm and patient with people who suffer from it. It's not their fault that they lack mental wellness and their behavior during manic episodes is not reflective of who they really are. Transcript - Bipolar disorder can have lots of effects on a person's day-to day functioning. So, for instance, again, in the middle of an episode of either mania or depression people who are manic will often do things that are really impulsive and really out of character. And so issues of infidelity can come up, for instance, in a patient with mania who's having a sexual partner or sexual partners outside of the relationship in the midst of a manic episode. People will often spend money that they really can't afford to spend in the midst of a manic episode, which you can imagine will cause a lot of strain for them personally, but also in the context of their families. People in the midst of mania often don't appear to be logical and so they will go to work and will have lots of irritability. And you can imagine, again, that coworkers are confused, bosses are confused and especially if they don't understand a lot about the illness it can affect their work relationships and their ability to maintain their employment. You can imagine that if it's hard to get up out of bed and even go to the supermarket and get your groceries for the day that it can be very difficult to go to work and get all the things that you need to get done either in your work life or in your personal life. People will report guilt or sometimes feeling like they're worthless. People will also report that they feel like they're either kind of moving in slow motion, which is known as psychomotor retardation. And occasionally will people report that they actually feel jittery, which is known as psychomotor agitation. In addition, people will report disturbances in their sleep, which are most commonly insomnia. So either difficulty falling asleep, waking up in the middle of the night or waking up earlier in the morning than one intends too. Occasionally this can be hypersomnia though where people are sleeping, for instance, ten, 12,13,14 or more hours per day. Patients with bipolar disorder often are resistant to receiving treatment, especially during a manic episode. And this is really part of the illness in terms of not understanding that one is sick. To get your own message in the dooblydoo, you can directly support Crash Course at http://www.subbable.com/crashcourse Subscribe for as little as $0 to keep up with everything we're doing. Also, if you can afford to pay a little every month, it really helps us to continue producing great content. Did you know that Schizophrenia and Multiple Personality Disorder aren't the same thing? Did you know that we don't call it Multiple Personality Disorder anymore? In this episode of Crash Course Psychology, Hank takes us down the road of some very misunderstood psychological disorders. Top 10 Celebrities With Anxiety Disorders — TopTenzNet Over 40 million Americans suffer from some type of anxiety disorder. It can be very difficult for an average person that suffers from anxiety to live a normal and happy life. Now, imagine someone who suffers from anxiety and, on top of that, is a famous celebrity. Celebrities do not live like normal people. Everywhere they go, they are the center of attention. When they are working — whether it’s on a movie set, a concert stage, or a sports field — all eyes are on them. When they go to the store or drop their kids off at school, all eyes are on them. They are under constant watch, and everything they do is usually caught on camera. Generalized anxiety disorder (GAD) - causes, symptoms & treatment What is generalized anxiety disorder? Generalized anxiety disorder—sometimes shortened to GAD—is a condition characterized by excessive, persistent and unreasonable amounts of anxiety and worry regarding everyday things. Subscribe - https://goo.gl/w5aaaV. More videos - https://goo.gl/UhOKiM. Support us on Patreon - https://goo.gl/ZGHEk4. This video covers the definition of GAD, important diagnostic criteria, and treatment options. Anxiety Disorders and Panic Attacks: Alison Sommer at TEDxCarletonCollege Alison Sommer graduated from Carleton with a degree in Asian Studies, and now works as an academic technologist at Macalester College. She believes that awareness is the first step to improving problems within mental health care, and will be speaking about anxiety disorders and panic attacks based on her own constantly evolving understanding of her anxiety disorder, OCD. Alison's greatest loves are her family, hockey and Star Wars. What is bipolar disorder? CNN's Dr. Sanjay Gupta explains bipolar disorder and why the condition is so difficult to identify and treat. YOU ARE NOT DEPRESSED, STOP IT! Sorry, but somebody had to say it. This video focuses on mood depression, not clinical depression. Furthermore, this is not a purported “cure” for depression. This is a call to live in reality, you own depression, depression does not own you. The Sapir Whorf Hypothesis, and General Semantics have illustrated how our words can become our prisons. The labels “Disorder” “Disease” “Depressed,” when internalized, can create a reality filled with suffering that extends beyond the biochemical. Don't get me wrong, "Chemical Imbalances" are real, but that can be a gross oversimplification of what's going on. There's a great article called "Moving Beyond ‘Chemical Imbalance’ Theory of Depression" from the Brain and Behavior Research Foundation that I encourage everyone to read. If you know anyone suffering that may need help immediately, call the 24-hour, toll-free confidential National Suicide Prevention Lifeline at 1-800-273- 8255 or go to www.suicidepreventionlifeline.org . The Body Language Documentary interesting psychology documentary on how our body reveals our real intention.. learning how to control it is a powerful skill.. Psychology Of The Great - Motivational Video Hope you enjoyed the latest motivational video, we have a success podcast coming out and new documentaries, not to mention the start of Inspirational Insights again. Thank you guys so much for the support. I made this video with the intention to help others in a motivational/inspirational form. The clips and music I have used I do not own in most cases. My understanding is that it is in correlation to Fair Right Use, however given that it is open to interpretation, if any owners of the content clips would like me to remove the video I have no problem and will do as fast as possible. please Email - Navidbakhsayesh@gmail.com - if you have any concerns at. The music used also acts as a promotion for the artists. Measuring Personality: Crash Course Psychology #22 You can directly support Crash Course at http://www.subbable.com/crashcourse Subscribe for as little as $0 to keep up with everything we're doing. Also, if you can afford to pay a little every month, it really helps us to continue producing great content. Positive Psychology: The Science of Happiness Tal Ben-Shahar discusses current research on the science of happiness and introduces ideas and tools that can actually make a difference in one's life. The study of happiness or of enhancing the quality of our lives, has been dominated by pop-psychology (much charisma, but relatively little substance) and academia (much substance, but isolated from most people's everyday lives). Positive Psychology, the scientific study of optimal human functioning, creates a bridge between the Ivory Tower and Main Street, making rigorous academic ideas accessible to all. Tal Ben-Shahar, instructor of the most popular course at Harvard University, discusses the findings of current research on the science of happiness and introduces ideas and tools that can actually make a difference in one's life. How Logical Are You? 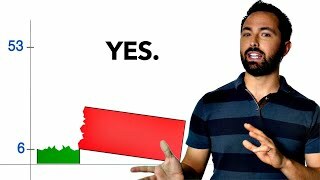 (Psychology of Reasoning) So just how logical are you? This 4-card selection task developed by Peter Wason in 1963 will help you find out! All you need to do is assess which of the 4 cards must be turned over in order to determine whether the rule has been followed. f t c // not a sponsored video. 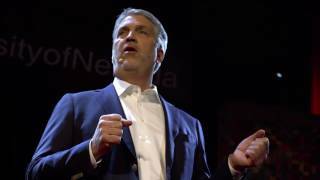 The Psychology of Self-Motivation: Scott Geller at TEDxVirginiaTech Scott Geller is Alumni Distinguished Professor at Virginia Tech and Director of the Center for Applied Behavior Systems in the Department of Psychology. He is a Fellow of the American Psychological Association, the Association for Psychological Science, and the World Academy of Productivity and Quality. He has written numerous articles and books, including When No One's Watching: Living and Leading Self-motivation. Scott will examine how we can become self-motivated in "The Psychology of Self-Motivation." 25 Things Psychology Tells You About Yourself There are few things in existence more fascinating than the human mind. In fact, apart from the depths of space, it is probably one of the least understood objects in the universe. That is not to say, however, that we haven’t learned a lot about it. We know enough that psychologists can even make predictions about your behavior based on certain “rules” that more or less hold true. So, although you may be one of the those counter cultural break-the-mold types we are still willing to bet that the following 25 things psychology tells you about yourself would make for a pretty good biography. Psychology Motivation and Emotion Crash Course Psychology Class Project. Lol. Psychology Crash Course: Personality A simple, yet thorough look at Personality, iceberg metaphor, freud, allport trait theory, 5 factor model, personality, tat test, and defense mechanisms. Depressive and Bipolar Disorders: Crash Course Psychology #30 You can directly support Crash Course at http://www.subbable.com/crashcourse Subscribe for as little as $0 to keep up with everything we're doing. Also, if you can afford to pay a little every month, it really helps us to continue producing great content. Not sleeping for days on end. Long periods of euphoria. Racing thoughts. Grandiose ideas. Mania. Depression. All of these are symptoms of Bipolar Disorder. In this episode of Crash Course Psychology, Hank talks about mood disorders and their causes as well as how these disorders can impact people's lives. You are the best, I love you. Remember that learning isn't just useful, but also really fun! 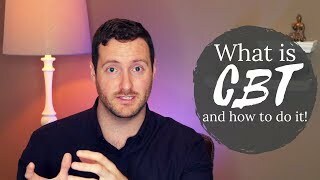 In this episode of Crash Course Psychology, Hank takes a look at how the treatment for Psychological Disorders has changed over the last hundred years and who is responsible for getting us on the path to getting us here. OCD & Anxiety Disorders: Crash Course Psychology #29 You can directly support Crash Course at http://www.subbable.com/crashcourse Subscribe for as little as $0 to keep up with everything we're doing. Also, if you can afford to pay a little every month, it really helps us to continue producing great content. • The skills needed for staying well.